The Harmony P4 HD (Heavy Duty) is rated for patient weights up to 330 lbs and is a line extension to our P4 mechanical vacuum pump line whose design is lighter, shorter and faster vacuum than existing pumps. The Harmony P4 HD also has vertical shock reducing pylon and torsion unit incorporated in addition to active vacuum volume management. The unique direct connection to the socket also eliminates any external tubing. With over 1" less clearance than other pumps more users can get fit with more foot options. The evolution of LimbLogic provides elevated vacuum in an easy to use system. LimbLogic is an electronic elevated vacuum system that features a small, Bluetooth® Low Energy fob, inductive charging, and a choice of mounting style. The controller is offered as a distal-mount 4-hole controller to mount inline with a prosthesis or, when clearance is a concern, a side-mount to place on the side of a socket.Both options feature a field-serviceable outlet filter. A handheld fob allows practitioners to program LimbLogic for a set range of vacuum. 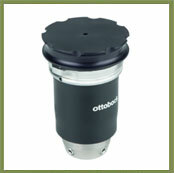 The system continually monitors a socket’s vacuum level, maintaining a secure fit. Amputees may use the fob to increase or decrease the vacuum level as desired within the range set by the clinician. Regardless of the style used, the LimbLogic Controller is waterproof in fresh water to a depth of 3 meters (10 feet) for up to 12 hours at a time. The hand-held fob should not be exposed to water. Clinicians using LimbLogic have the opportunity to interact with the controller using the fob. 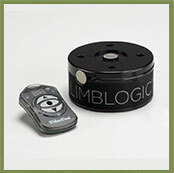 The LimbLogic Communicator and software interface with a LimbLogic controller via Bluetooth® Low Energy technology. A silicone sleeve with repositionable cuff has been designed for use with the LimbLogic system. The sleeve’s repairable inner cuff may be rotated should a leak occur so that an airtight seal may be maintained at all times. The LimbLogic Sleeve enhances knee flexibility and is constructed of medical-grade silicone. The suspension method is the way in which the prosthesis is connected to your body and there are many options depending on residual limb type and patient preference. Suspension is a very important part of the prosthesis as it is how the patient interacts with the prosthesis, if the suspension method doesn’t feel right then a patient will be less likely to wear a prosthesis. Thus, an evaluation is done to determine which method will theoretically be the best for the patient, but ultimately it is up to the patient to find what feels most natural to them. Many things need to be considered when deciding on a suspension method, such as activity level and age. 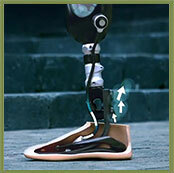 The prosthesis and suspension method should be able to adapt to the patient’s daily and leisure activities. © 2018 Malcolm Freedman | Website designed by Personalised Promotions in association with SA Medical Specialists.